Looking ahead to Pentecost, anyone up for joining us at Mulgoa for 24th May? There’s a lovely, simple Veni Creator that we used to sing at the Holy Family Religion School at Riverwood with the kids. The verses alternate between the Gregorian Chant and a 4 part setting. Apart from that, it’s still Mass 1, Credo 1, plus there’s a Sequence - Veni Sancte Spiritus. 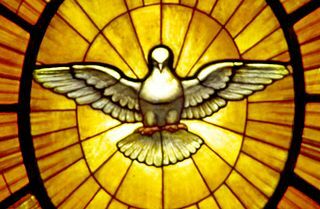 Pentecost is the Birthday of the Church. It’s a big feast day up there with Easter, Epiphany and Christmas. You could even argue that it’s bigger than Christmas! It’s a great excuse to pull out all the stops and have a party, and you probably don’t have quite as much by way of family commitments as you do with Christmas and Easter.